Some things are just so bad, they’re actually good: most of the pop songs on the top 40, over-the-top cheesy holiday movies that actually make you feel real feelings, and any food made with Velveeta. The same holds true for a lot of creepy creatures, too. Sure, they may be covered in make-your-skin-crawl scales, have ghoulish yellow eyes or act as vectors for all kinds of diseases—but when you really look at them, they can be kind of cute. Between their vaguely human faces, long, death-grip nails and the fact that some species can turn their heads a whole 360 degrees, sloths can be a little disturbing. But they also kind of resemble the goofy kid on your block who had facial hair before anyone else, and that is endearing in a special way. Snakes. Most people are afraid of them (because they were a threat to our early ancestors, according to some theories.) Cats are terrified of them and anything that resembles them, like cucumbers. Indiana Jones hates them. But snakes, in tiny, non-threatening, baby-form, are actually pretty cute! This little guy looks like he’d rather lick an ice cream cone than Anaconda you. Let’s be clear: Adult alligators are not cute and are actually pretty terrifying. Baby alligators, however, look like they’d just nip your hand like a puppy and you’d laugh and pat their heads. Most likely, it’d be super painful. But still. There aren’t many things sweeter than an aggressive, territorial rodent digging through your garbage cans or nesting in your attic, are there? Possums in the wild are pretty horrifying, but this guy looks like he could host a children’s television show. The children’s book Stellaluna made Megabats—otherwise known as fruit bats—seem pretty darn loveable. It almost makes you forget that fruit bats can actually carry several horrific diseases and viruses, and often bite human beings. Almost. When they’re not spreading diseases, throwing their poop around or fighting each other, monkeys are generally accepted as very cute creatures. They’re especially cute when they look like a wise, gentle, old man who will train you to fight. If basic biology and horror movies have taught us anything, it’s that yellow eyes are generally not good. 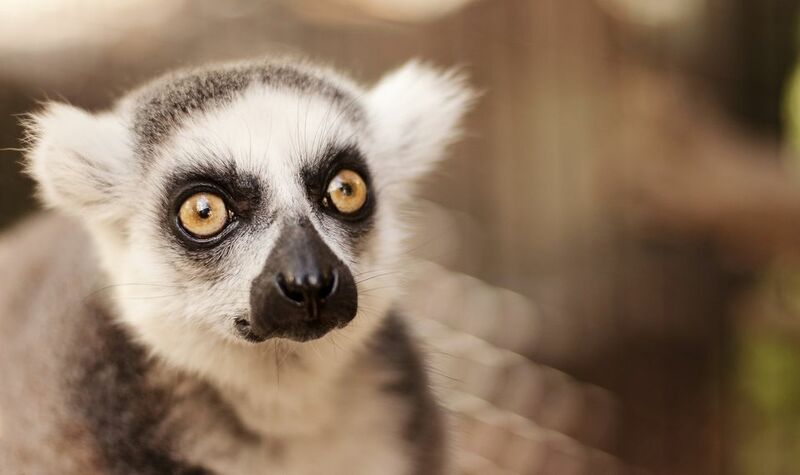 So, at first glance, a lemur may appear to have poor liver function (biology) or just be evil (horror movies), but their fuzzy, weirdo faces certainly make up for it. Feeling a fish’s slimy scales on your legs while you’re swimming in a lake or in the ocean is freaky. But it’s hard to be grossed out by this fish, who looks like she just got some bad news and is reacting adorably. Sure, mice carry disease, infest our homes, get into our food and poop all over the place, but just imagine this tiny mouse eating a tiny burrito or reading a tiny book. Has your disgust with mice diminished yet? Wild pigs always get a bad rap as aggressive forest monsters—we’re looking at you, Lord of the Flies. These sweet pig brothers, however, make wild pigs look like mushy, super loving fuzzballs that just want to smooch. They scream like human beings, they love to climb on top of things and they have creepy, horizontal pupils; needless to say, goats are total weirdos. Their weirdness is totally endearing, however. A cross between a frog and a lizard, salamanders are all things that generally freak humans out—creepy, crawly and slimy—and if you’ve ever walked in the woods, you’ve been startled by a salamander darting out from under a rock. If you look long enough, though, their wide mouths almost look like a sweet amphibious smile.